The recording catalogue of late guitar legend Jimi Hendrix is one of the most heavily guarded in music. So much so, in fact, that André 3000 literally became the dude for a new biopic, and that wasn't enough to license Hendrix's music. 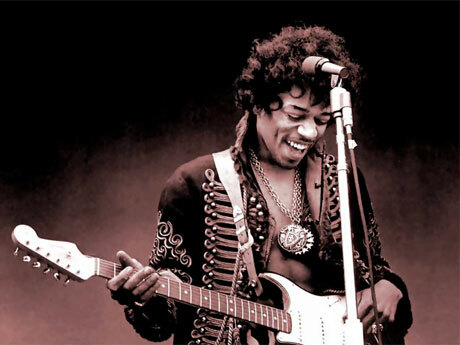 As such, it should come as no surprise that some early recordings have been the source of a long legal battle, with Experience Hendrix LLC and Legacy Recordings now finally striking a deal to release the material. Between 1965 and 1967, Hendrix performed as a session guitarist with the New York group Curtis Knight & the Squires. In that time, the band produced 88 studio and live recordings with Hendrix. While they likely don't feature the wah-pedal freak-outs and psychedelic love songs that Hendrix became known for, they're still Jimi Hendrix recordings. Because of this, the music has been disputed for a while. As Billboard reports, the material was originally owned by Ed Chalpin, an entrepreneur and producer who signed the group (along with Hendrix) in 1965 to his PPX International imprint for a three-year contract. The fee for that contract? A single dollar and a one percent royalty rate. When Jimi Hendrix famously went to England, his manager Chas Chandler bought out all of Hendrix's previous contracts, except for one — his contract with Chalpin. As a result, Experience Hendrix LLC has been battling Chalpin since 2001, with various back-and-forth battles in courtrooms around the world. Now, Experience Hendrix LLC has come to an agreement with Chalpin. The company, along with Legacy Recordings, now has complete ownership and control of all 88 recordings. Terms for the deal have not been revealed. That said, there is now a large pile of songs by Curtis Knight & the Squires that are being eyed for reissue, with longtime sound engineer Eddie Kramer overseeing the re-release project. Legacy will reportedly release the material over the next three years.